The Lee Precision .38 ACP, .38 Super Powder Through Expanding Die has an expanded and flared case neck with a hollow plug. This allows simultaneous charging with Auto-Disk Powder Measure or Dipper. The Powder Funnel adapter can be replaced with a Lee Auto-Disk Powder Measure for fully automatic powder charging while the case mouth is being expanded. Shell holder sold separately. This is the same Lee Powder Through Expanding Die that is included the Lee 3-Die Set for .38 ACP/.38 Super. 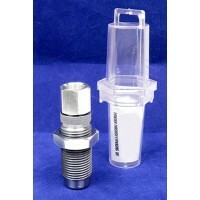 The Powder Funnel adapter can be replaced with a Lee Auto-Disk Powder Measure for fully automatic powder charging while the case mouth is being expanded. Shell holder sold separately. 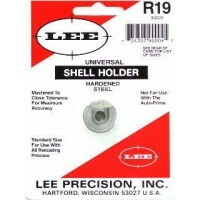 Order Lee R19 Shelholder or Hornady Shell Holder #10. Instructions not included. Order Lee CD1186. Instructions for Lee Precision 3-Die Set .38 ACP / .38 Super. Includes simple, step by step ins.. 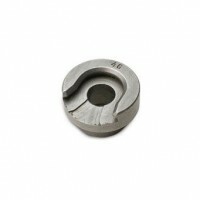 The Lee Precision 45/70 Powder Through Expanding Die has an expanded and flared case neck with a h..